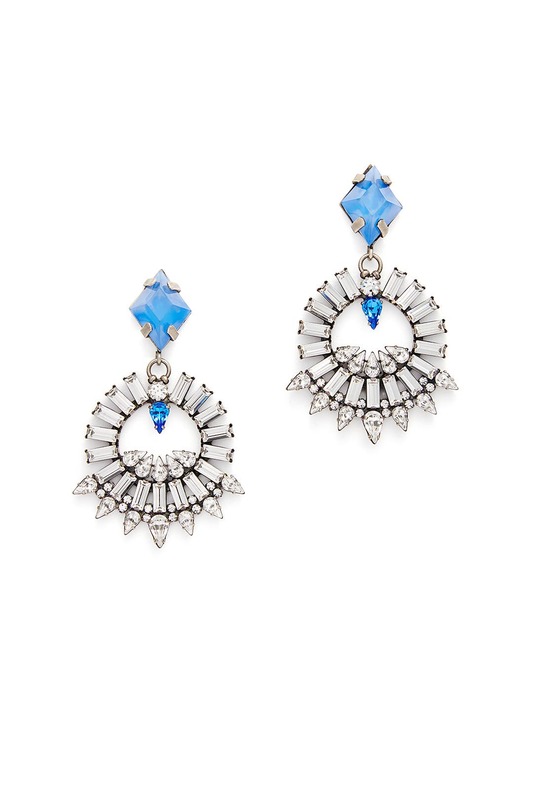 Give your look some edgy glamour with these earrings by Dannijo. Pops of blue keeps them feeling fresh. 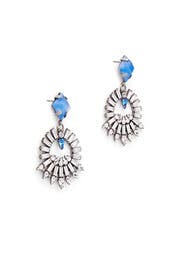 Oxidized silver plated statement earrings with indigo stones and swarovski crystal elements. Post backs for pierced ears. 2.75" long and 1.75" at widest point. 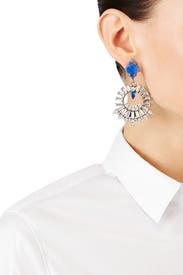 Rented these through the Unlimited program because I was going on vacation and wanted some fun earrings. They were definitely fun - but larger than expected and definitely heavy. Very comfortable and much lighter than expected. Beautiful blue colors and fantastic of the moment designed cuff earrings. I got so many compliments on these earrings. They were really a show stopper with the blue dress I was wearing.